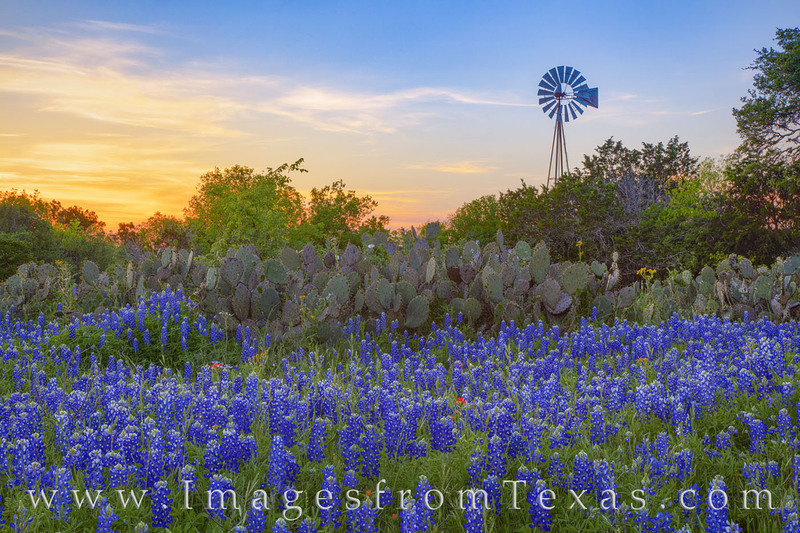 Not far from Johnson City on the edge of the Texas Hill Country, this quaint landscape of bluebonnets, cacti, and an old windmill made for a nice sunset scene. The winds were surprisingly calm, and the sky had just a touch of clouds and color on this warm April evening. The aroma of these wildflowers lingered in the air, and soon the last light of evening brought an end to the day. Photo © copyright by Rob Greebon.